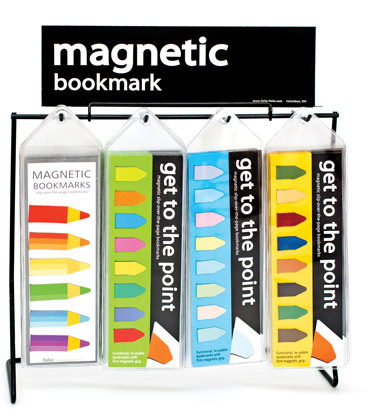 Get to the point with these magnetic line bookmarkers. 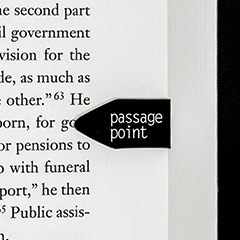 Slipping over and clasping to single page firmly, they will prominently mark text either for reference or as a bookmark reminder. 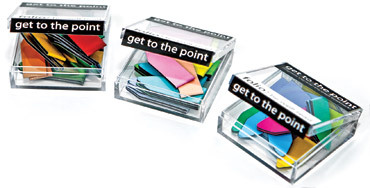 Ideal for any type of book or papers from cookbooks to tax returns. 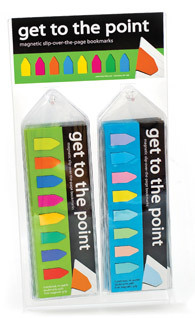 Functional, re-usable with firm magnetic grip - so you can get to the point quickly! 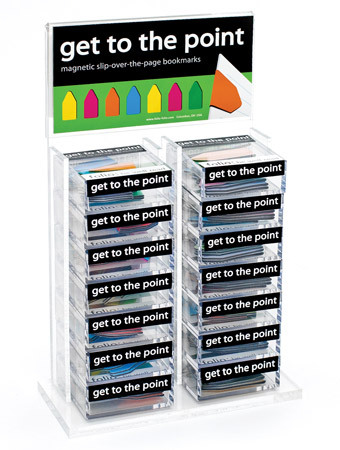 Available in boxes of 20 and plastic sleeves of 8 bookmarks.